Whether it’s your first tattoo or your seventh, taking care of each tattoo is vital for optimum healing. Improper care can lead to bacteria contamination, infection, or prolong your overall healing. Your tattoo artist will give you specific instructions on how to best care for you tattoo since care begins as soon as your artist wraps your tattoo. Depending on your skin type and the size of your tattoo, your healing time will differ. It’s important for you to leave your bandage on for a few hours. Your tattoo artist can recommend anywhere between two to 24 hours. Once you get the go-ahead to unwrap, wash your hands thoroughly and don’t freak out. Your tattoo will secrete a mix of blood, ink, lymph fluid & plasma which is vital for scabbing. Wash your tattoo with lukewarm water utilizing gentle motions with your hands. Once wet, use a fragrance-free, gentle, & antibacterial soap to thoroughly but gently cleanse the area. Let the area completely air dry or gently pat it down with a soft cloth. After it’s dry, lightly rub the tattooed area with a specialized moisturizing ointment. The few days after your final tattooing sessions, you will be sore. The area will be sensitive and you’ll experience a sort of “raw” red feeling, along with swelling. This will subside with each passing day. Repeat the washing and treating process daily. As you begin to scab, it’s important for you not to pick at the scabbing skin. Things might get itchy but scratching can further irritate the skin and even remove healing ink. Try cooling the tattooed area with a cold compress or smoothing on a cooling ointment or aftercare spray. As your skin begins to dry, it’s important you keep the area hydrated. There is such a thing as over care. Your skin will heal on its own so let it do it’s own thing (while keeping it clean!). It’s best to avoid tough workouts or tight clothing while your tattoo is healing. Also remember to use sunscreen on your tattoo as it’s healing and afterwards! Even though healing time varies, after 3- days, your tattoo should be mostly healed. If something doesn’t look right, contact your tattoo artist or see a doctor as soon as possible. Infections do happen! Browse our wide selection of tattoo after-care products! When it comes to tattooing, the manner and style in which you tattoo really drives your tattoo ink preference. Technology advances and stringent hygienic standards are constantly improved upon for the better of the entire tattooing industry. 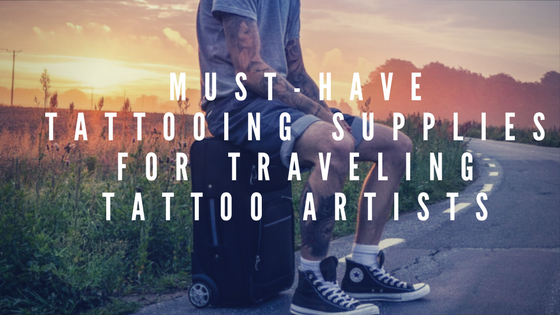 If you’re a novice tattooer, the sheer number of choices can be very overwhelming, especially if you’re just figuring out your specialization. Alternatively, you might be an experienced artist already and want to delve into a different ink from the one you’re currently using. It can be difficult to know just how to choose tattoo ink. Whatever your particular case may be, we’ve broken down four tips on what you should look for when choosing the best tattoo ink for you. What exactly makes an ink high quality? The proof is in the ingredients. Traditional inks from long ago contained toxic materials like arsenic, lead, and even plastic components. Today, the majority of inks don’t contain heavy metal substances; however, it’s crucial for you to read the ingredients list. If you’re interested in a particular ink brand but don’t see the ingredients list, email them. Some ink companies are quite protective of their unique ingredient list and might not want to advertise their exact formula. If you don’t hear back or they refuse, it’s best to move on. If they’re not willing to share whether toxic materials are in their inks, you probably shouldn’t risk it. Many companies now utilize vegan, cruelty-free, and organic ingredients. What’s the difference? Vegan means ink contain no animal-based ingredients like bone char, glycerin, gelatin or shellac from beetles. Vegan brands include Eternal Ink, StarBrite Ink and Alla Prima Ink. Cruelty-free inks are not tested on animals. Organic inks are derived from natural ingredients. What’s important to you? Think hard about your customers and their particular needs. This might end up being the deciding factor for you. The two main forms of ink differ in the consistency type. Powder- or pigment-based ink is a nod to more traditional forms of tattooing. Pigments in powder-based ink are suspended in a liquid carrier. A tattoo artist is able to utilize these powder-based inks to create custom color palettes. Pre-dispersed inks are more commonly found in the market today. Pre-dispersed inks are bright and bold and can be used right out of the bottle. No mixing is required. The thought of bootleg products may seem like a thing of the past, however, it’s not uncommon to come across ink that has not gone through any safety tests and may still contain harmful, toxic ingredients. There are even manufacturers out there that create products utilizing a well-known brand’s name. In a word- fake. Since regulations differ from country to country, it can all be confusing to a new buyer. Our best recommendation is to look for solvent- and PET plastic-free inks. All of the inks offered on Element Tattoo Supply website are made in the USA. If you’re a beginner, choose to buy a set from your preferred brand. Since you’re utilizing the same brand ink, this ensures there are no negative reactions from mixing ink formulas. Ink sets are also carefully curated by brands to ensure a cohesive color palette that complement each other. Overall, you’re able to get more bang for your buck while trying out a new ink brand. 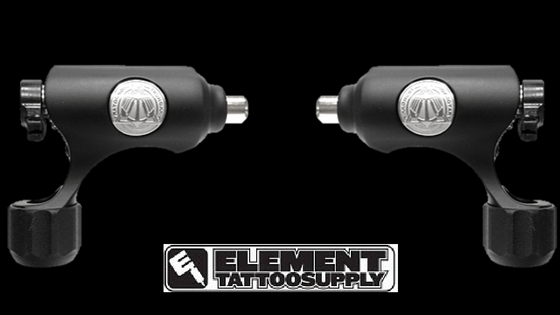 Element Tattoo Supply is an authorized distributor of all the inks on our website. We carry our very own formulation, Element Tattoo Inks, that combines affordability and pigmentation in 1, 2 and 4 oz bottles. We’re always happy to help answer any questions to help you pick the right tattoo ink for your particular style and needs. 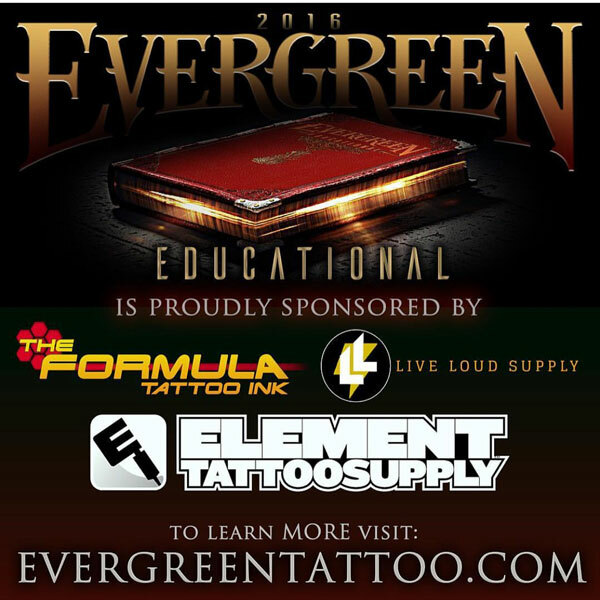 Send us a question at help@elementtattoosupply.com. Posted in Blogging, Product Reviews, Tattoo Ink. Posted in Blogging. Tagged tattoo artist, tattoo like a girl, Vanessa. At Element Tattoo Supply, we noticed a real need for a traditional, OG needle type that stayed true to the spirit of the golden age of tattooing and paired with the high standards of today’s industry. We worked hard to create a range of needles perfect for the traditionalist and artist. The result? Eddie Tana’s Pre-Made Low Profile Needles for Tattooing. Many pre-made needles receive a bad rap and deservedly so since the market is saturated with options that suffer in quality because of the lack of craftsmanship in an attempt to mass produce. With us, we don’t mess with any of that nonsense. Instead, we aimed to create superior pre-made Low Profile tattoo needles and believe we have been successful so far— our great customer feedback and reviews attest to this! What characteristics should quality traditional tattoo needles possess? In our professional opinion, they should be able to shade flawlessly and easily. This is why our range of LowPro needles are created with “one pass” technology ensuring smooth and pigmented shading. Opt for loose round shaders for shading small spaces and our traditional magnums to shade larger areas. Our needles design ensures solid color fills and an overall smoother gradient… no dots here. Old school tattooing is basically synonymous with exceptional line work. Our LowPro needless are recognized for the uniformity of intricate and detailed lining ability. We custom designed these needles with a short soldering which creates an overall stiffer needle. Not only does this result in sharp, crisp lines but it also prevents curling and flexing. The stiffer needle additionally ensures ink will penetrate easier resulting in less skin irritation and trauma for better healing. All of our LowPro tattoo needles are individually blister packed, pre-sterlized and available in quantities of 50 per box. We’ve created this handy infographic so you can choose the right options for you. Still have questions? Be sure to contact us and we’ll be happy to help you out get just what you need. Posted in Blogging. Tagged lining needles for tattooing, shading needles for tattooing, tattoo needles, tattooing. What kind of tattoo inks do you use? Many tattoo artist prefer their own type whether it be thin or thick Eternal inks tends to move towards the dense side of tattoo inks comparing to other brands, many tattoo artist from around the world love this product but you make your choice. Posted in Blogging. 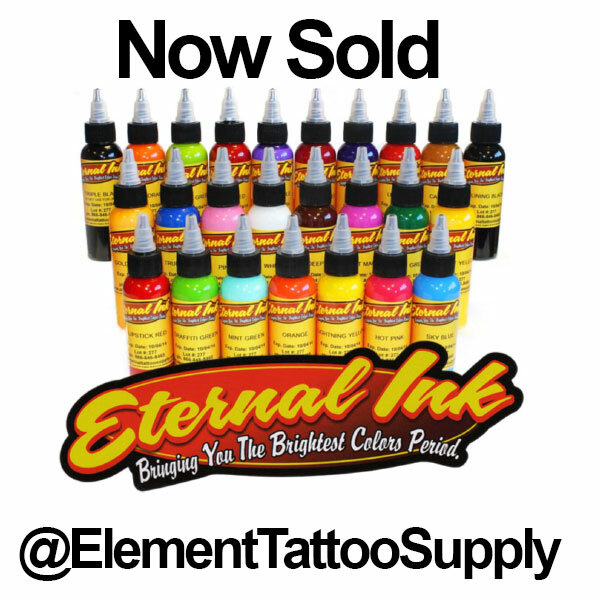 Tagged Eternal Inks, Eternal tattoo ink, inks, pigments, tattoo supply. Posted in Blogging, Product Reviews. What happens when two veteran tattoo artists come together to have a conversation about the components of their dream machine? The Bishop Rotary Magi Machine is born! This machine was born out of several conversations that took place over the course of two years between Nikko Hurtado and Franco Vescovi. The topics ranged from the perfect amount of torque, the stroke of the motor, speed and more. Each specification only served to make the machine better, resulting in one of the best tattoo guns on the market. Read on to find out why this rotary machine equipment is the best option for your next tattoo gun purchase. As a tattoo artist, one of the main concerns when choosing a new tattoo machine to buy is how easy it is to use. The ergonomic design of this machine makes hours-long tattoo sessions easy on the wrist and arm. Like many rotary machines, the Bishop Rotary Magi is extremely lightweight, weighing in at a feathery 2oz. More than this, it benefits from extremely tailored construction that shifts the weight onto the tube, creating a virtual weightlessness. With this machine, you can kiss carpal tunnel pain goodbye and kick wrist pain to the curb. More importantly, the weight of this machine makes tattooing easier to do for longer stretches of time so you can put in quality sessions with your customers. Rotary style. Most people know that tattoo machines come in one of two forms: rotary or coil. Coil machines are the more common of the two because of their accessible price point and wide use across the tattoo profession. The unspoken rule is that rotary machines offer superior quality and ease of use. In addition to the wide array of benefits included in this list, the needle mechanism in rotary machines operates in a more cyclical motion than the punching of a coil machine. Rotary machines better offer the ability to create smoother lines and shading than coil machines, and the Bishop Rotary Magi Machine improves upon this high threshold. For more freedom with artistic expression, rotary machines (and specifically the Magi) are the way to go. This machine is compatible with all Hawk Grips and cartridge needles, making it an excellent choice for those looking for a more universal tattoo machine. The 71mm plunger bar for use with disposable grips and the 80mm plunger bar for use with click grips are both industry standard. This ensures you will be able to use both types with several grips. The machine also has the ability to run between 6 and 8.5 volts depending on your personal hand speed and style. All of these factors make it an extremely compatible machine, perfect for a variety of different tattoo applications. For a machine that works so well, it only makes sense that the looks would be sleek and beautiful too. The Bishop Rotary Magi Machine comes in two colors, a svelte matte black and a 14k gold-plated finish. With only 4,000 of the former and 1,000 of the latter having gone into production, this is a look that you won’t see every day on a tattoo machine. More than that, this professional rotary machine’s rare status makes it a collector’s item whose value will increase with age. The visual beauty of the machine is only matched by the beauty of the work you’ll be putting onto a client’s skin. When choosing a new tattoo machine, several factors go into the purchase – type of machine, color, etc. The most important factor is definitely the durability of the machine. How long will it last before you have to replace it? With the Bishop Rotary Magi Machine, there’s a one-year warranty on all parts, but there’s a big chance that you won’t need it. Made with aircraft aluminum, these parts are built to last while still being lightweight. Make sure to buy this machine if you’re looking for something that will last you for a long time to come. With all of these benefits, now you know why the Bishop Rotary Magi Machine is the perfect professional rotary machine to have in your arsenal. Shop the selection today and step up your game. Still have questions? Contact us and we’ll help you out. Posted in Blogging, Tattoo Product Review.